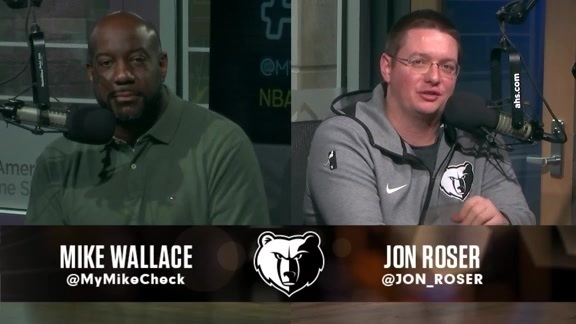 MEMPHIS – It was intended as an incredible compliment of Jaren Jackson Jr.’s defensive potential and prowess as the Grizzlies’ 19-year-old prized lottery pick. Indirectly, it was instead one of the most reassuring signs that feisty vet Mike Conley is healthy, confident and back on his game entering training camp that opens Tuesday at FedExForum. As Temple relayed the story, he placed the emphasis on almost. Good luck to anyone attempting to stay in front of Conley these days. The 12-year point guard catalyst is approaching training camp with the enthusiasm of a wide-eyed rookie. And there’s good reason. Eight months removed from heel surgery that limited him to just 12 games and shut down his season, Conley is back on solid footing and eager for a bounce-back campaign. After methodically progressing through rehab and conditioning to reach this stage, getting Conley up to speed doesn’t figure to be an issue for the Grizzlies in the coming weeks. Slowing him down, however, might be a bit of a challenge. Memphis opens preseason play Oct. 2 against the Rockets in Birmingham, and the regular-season opener is Oct. 17 on the road against the Pacers. That’s the difference in the Grizzlies’ win percentage the past three seasons in games Mike Conley has played and those he has missed. Memphis is 32-81 (.283%) without Conley in that span and 77-66 (.538%) with the franchise catalyst. The next step for Conley comes Monday at media day in his first press conference since last April's exit interviews on the heels of a dismal 22-60 season. Conley has described it as the darkest season of his career, a season that began when he felt soreness in his foot after the second game. Conley, who had problems with that same left foot and heel area in previous seasons, struggled to play through the aggravation until he was shut down in November. Later that same month, former coach David Fizdale was fired and lead assistant J.B. Bickerstaff took over to finish the season. Bickerstaff was promoted to head coach over the summer and has monitored Conley’s steady progress – each increasingly quicker step of the way. Conley missed a career-high 70 games last season and spent much of it feeling helpless as the team struggled. Off the court, Conley and his wife welcomed their second child. The energy and focus required to keep up with a newborn and a 2-year-old helped Conley offset what he said sometimes felt like depression from the way his season played out. 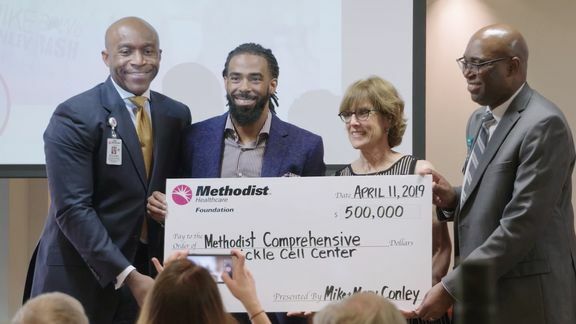 Now three weeks shy of his 31st birthday, Conley insists he’s emerged from those trying and difficult days with a rejuvenated mind, spirit and body. That outlook coincides with the franchise's fresh start amid changes and upgrades to the front office, coaching staff, training staff and player roster. It was an unfair burden for Conley to place on his shoulders. And it’s one for which he intends to atone, nonetheless. The task of steering the Grizzlies in that direction falls on a deep group of point guards and facilitators. The Grizzlies enter camp facing legitimate questions about whether Conley can sustain his health after missing 113 total games the past three seasons for injuries or rest. It’s also fair to wonder whether Memphis has addressed a longstanding need for reliable and productive help at backup point guard. Bolstering that position was clearly an offseason priority for general manager Chris Wallace and the front-office staff. Andrew Harrison returns as arguably the most improved player over the course of last season. 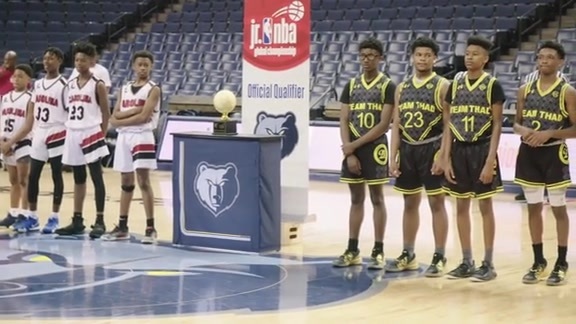 The Grizzlies also addressed the point guard spot in the draft by selecting national Defensive Player of the Year Jevon Carter near the top of the second round. The team closed free agency by picking up veteran Shelvin Mack, a past contributor on playoff teams in Atlanta, Utah and Washington. And that doesn’t even count top incoming free agent Kyle Anderson, a 6-9 versatile forward from the Spurs who is expected to start at small forward but largely help run the offense alongside Conley. That pushing, however, won’t include overloading Conley in the preseason. Although both Conley and Bickerstaff insist there are no limitations or minutes restriction in place, there’s enough depth and trust at the position to spread around the initial workload. Among point guards, only Carter enters camp with an injury issue as he recovers from last month’s thumb surgery. Shifting into this gear again has been a long time coming for Conley. But he still slows down long enough to appreciate the path back. Keeping pace with Conley just might be tougher than ever before.